Mike Pompeo attacked a journalist for his supposed “incredible lack of understanding” about the humanitarian crisis in Venezuela during his trip through South America last week. The US secretary of state lambasted the Washington Post’s John Hudson for asking the foreign minister of Peru about the potential implications surrounding severe sanctions against Nicolas Maduro’s government in Venezuela. Mr Hudson, who posted the exchange on Twitter, asked the foreign minister if his country might “consider changing strategies and other diplomatic tactics” – including the potential to engage with the Maduro government – if the sanctioning “begins exacerbating the humanitarian crisis and creating more refugees in Peru”. 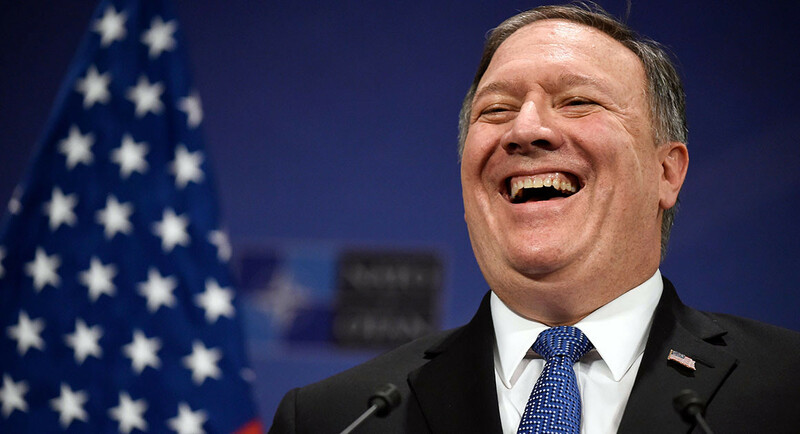 Mr Pompeo ridiculed the journalist immediately after the foreign minister responded during the joint press conference, accusing him of blaming the refugee crisis on recent US actions. The congressman from Koch understands all. Really? I've never really heard who his promoters were.. Enter "Pompeo Koch" into the site's search box, top right of screen. A lot of good o.p.s in that search. 1. The congressman from Koch understands all. 2. Really? I've never really heard who his promoters were..
4. Enter "Pompeo Koch" into the site's search box, top right of screen. 5. Yikes!! I guess so..
6. A lot of good o.p.s in that search.